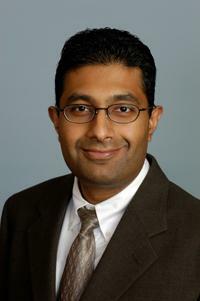 Srinivas R. Sadda, MD, Assistant Professor of Ophthalmology, Doheny Image Reading Center, Doheny Eye Institute, UCLA. With CIRRUS FastTrac, I can place a highest resolution 20x B-Scan precisely on the area I am treating at each successive visit to see the fine details of the patient’s response to treatment...It’s also very helpful for removing any eye motion from the larger cube scans without disturbing my patient flow because it works so quickly. My initial experience is that FastTrac is about 30 percent faster than other tracking methods I have used.